They Like Her, But Why? Last week we looked at the issues raised by the group calling itself #the15 in reference to the books that get sold in Christian bookstores and their online equivalents. I want to focus on one in particular today. Still, as someone who spends several hours a week in Christian retail, I do try to take these comments to heart and re-examine the products we carry. 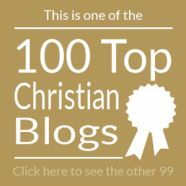 Even if many of the 91,000 web pages represent those who make it their business to put every word spoken or written by every Christian under the microscope to find fault, some of those criticisms have merit when the author’s opinions or interpretations are examined in the light of scripture. So of course, I took particular note when one of the first phone calls of the year was an inquiry if the store carried Joyce Meyer. There are thousands of authors in the store, but this person’s judgement of whether it was worth a first-time visit to our store would be made or broken by the carrying of this one author. Interesting. They really like her, but why? They really like her, but why her? Ms. Meyer is probably the top-selling non-fiction female author in most Christian book shops. Current runners-up would include Beth Moore, Lysa TerKeurst, Ann Voskamp, Stormie Omartian, Stasi Eldredge, Nancy Leigh DeMoss, Sheila Walsh and Elizabeth George. For each of those, there are dozens of other women aspiring to be part of that elite Top Ten list. Despite the advances they may feel they have made in The Church over the last few decades, women have always played key roles in the history of Christian publishing. So the cream always rises to the top, right? Well, no. Christian book critics frequently note doctrinal concerns in the writings of some bestselling authors, many of whom also happen to have a Charismatic bent. 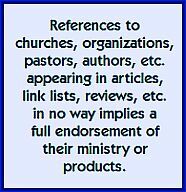 (I’m referring to the denomination here, as in ‘Evangelicals, Pentecostals and Charismatics.’) So over the years we’ve seen Benny Hinn, T. D. Jakes and Joel Osteen under fire, and yes, rightly so. Osteen simply can’t hold his own in television interviews when the doctrinal questions are more than an inch deep. Conservative Baptists and Calvinists bring all of this down to a lack of academics, a lack of scholarship, or more simply put, a lack of study. And here there many times I might have to concede to them. Joyce Meyer is undoubtedly the leading woman author in the Charismatic camp, but her appeal is even broader Hinn, Jakes or even Osteen. There are Presbyterian women who watch her. There are Baptist women who purchase her books. Heck, there are even some Reformed women who listen to her online. So 91,000 internet pages of doctrinal concerns notwithstanding — and do, as I did, take some time read a few — she continues to outsell the other members of the Top Ten. They like her; they really, really like her. In 2002, Hachette Book Group paid Meyer more than $10,000,000 US for her backlist catalog of what had been formerly independent books. (See a recent article in Publisher’s Weekly.) They have no doubt experienced a significant return on that investment. What would it take for someone to reach her sales pinnacle, and yet still be able to satisfy the critics? Of the women in our Top Ten list, two others, Voskamp and Moore are constantly under fire online as well. My feelings on this are similar to my feelings about Christian television: It’s a certain type of person who wants to be on television. That’s why we see the programs we see. And maybe it’s no different in the world of publishing. Perhaps we get the books and TV we deserve. I don’t know. And I’m not sure how some Christian bookstores would survive without some of these controversial people. As I wrote a few days ago, in my piece on Christian television, there are certain voices we seem to simply never get to hear from. I really wish we did, and I wish those mainstream Evangelical voices would rise to the top. Update: I just want to reiterate here that popularity is no measure of orthodoxy. Sometimes the opposite is true. I’m just taking what is for others a criticism and turning into more of a lament; wishing that those who command a top position on the charts were more decidedly mainstream in their doctrines. This is also true of male authors, it is by no means limited to women. 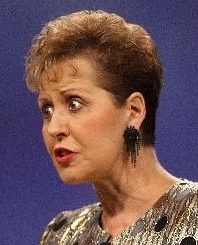 Feelings about Joyce Meyer run strong, as I found out when I wrote this article many years ago. Please limit comments to why you feel Joyce resonates with so many readers and TV viewers. 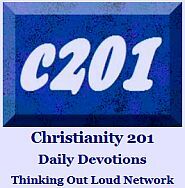 Is the Part of Christianity That is Rapidly Growing Actually Christianity? Much has been written about the decline in church attendance in Western Europe and North America, but at the same time we often hear reports about the growth of Christianity in South America and Africa. I think we really need to ask ourselves however if the ‘thing’ that is growing in those places related to the Christian faith as most readers here understand it. In fact, many Christians in those continents are embracing the prosperity doctrine. Prosperity preaching has many forms, but the two most known examples are Joyce Meyer and Joel Osteen. The sheer size of their respective ministries (Joyce on media and Joel in his megachurch) means that for many Christians, they constitute mainstream Christianity. Rick Warren, Andy Stanley and Bill Hybels all pastor megachurches, so it seems easy to include Joel Osteen as though they are all in the same category. But they aren’t. It’s easy to compare Joyce Meyer to other authors on the shelves at Christian bookstores like Philip Yancey or Max Lucado but she is clearly in a class by herself. One test is compatibility. 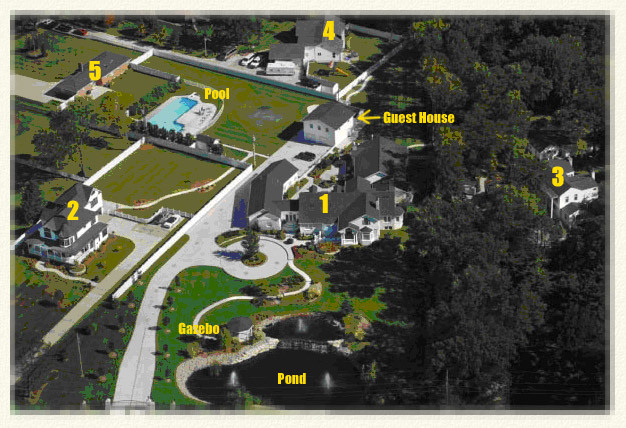 If you’re moving from Chicago to Atlanta to Orange County, it’s easy to transfer from one of the aforementioned churches to another, but at Joel Osteen’s Church you’d get an entirely different vibe. Similarly, if readers of Craig Groeschel or Kyle Idleman picked up one of Joyce’s books they would sense they were moving into different territory. He then goes through a list of doctrines taught by Joel and Joyce and carefully examines their doctrines. It’s a longer post requiring your time and attention, but i believe Rick Henderson has done his homework. You can read the whole piece — and the 1,050 comments received to date, by clicking here. One of the challenges of running articles like this is that you attract all kinds of people whose comments are based entirely on a loyalty to the Bible teacher, pastor or author in question. Whether or not they read the piece in question is hard to determine. They feel it is their spiritual duty to rush to the defense of their shepherd. I know this from personal experience with articles about Joyce Meyer and James MacDonald. In the world at large, people can look at six tenets of a person’s personal beliefs and say, “I agree with 1, 3, 4, and 6, but not number 2 or 5.” In the Christian world, there is no grace granted to those who respect a person’s ministry in several areas, but disagree with a couple of others. Attacks are consider personal even when there is no such intention. I once told someone I was writing a critique of a newly-released book, and they were quite upset that I had chosen to criticize it. No, sorry. A critique is not necessarily a criticism. Critical thinking is not necessarily criticism. And both are about concepts and ideas, not about individuals. So I applaud Rick Henderson for his willingness to do the hard thing, and actually do the research necessary to prove his point. If the prosperity doctrine is responsible for the huge migration of South Americans away from the Roman Catholic Church to the Charismatic Protestant Church, then I wonder if some of them would have been better served to have stayed where they are. In fact maybe more than just some. …This is not the Gospel. This is a false Gospel. Joel teaches that we open ourselves to God to get more from God. He teaches that we use our words to speak into existence a better reality. This straight from the Word of Faith Movement. This is not what is taught throughout the New Testament. Consider what the Apostle Paul wrote. And remember that he wrote this while in prison.